The texts for Sunday, July 24, 2011 are: 1 Kings 3:5–12; Psalm 119:129–136; Romans 8:26–39; and Matthew 13:31–33, 44–52. Words. It might come as a surprise to some, but words do not come easily to me. Particularly when they are trying to express something important, something deep in my heart, something hoped for, longed for, or maybe just something I really, really believe. Also, when I’m angry or sad or defensive or really joyful even, words just fail me. Sometimes—many times—words seem so … rough, clunky, off-the-mark, inadequate. Kind of ironic that I ended up being called to a ministry where words, where THE WORD, is so important. And that is the amazing part of this promise that Paul speaks: even when I don’t know what to pray for or how to pray for it, even when my words are clunky, miss-the-mark, and are inadequate, even when all I have is tears or laughter or a sigh, even when all I have is fear of the unknown and silence … God is there. 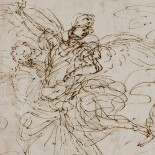 The Spirit is breathing in and out with the rise and fall of my chest, sighing, groaning, dancing the true hopes, fears, joys, frustrations and sorrows that I have—making everything that I am and I will be holy and placing it all in the loving hands of God, where it will never, ever, ever be forgotten. 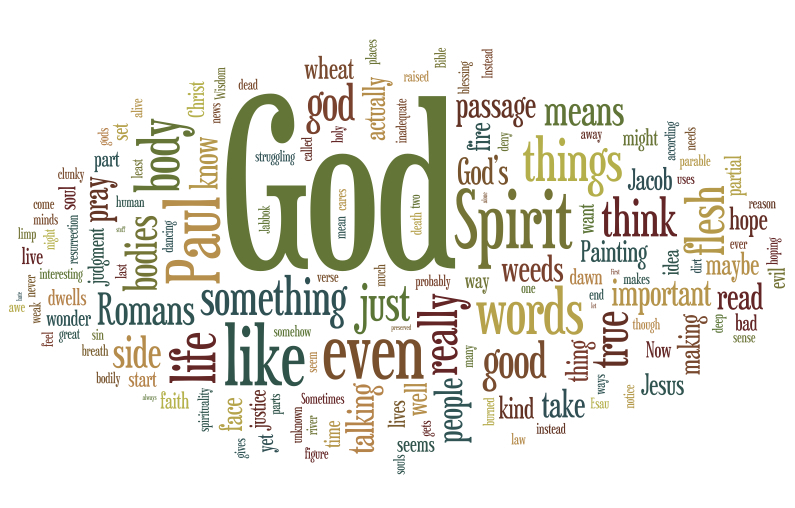 This entry was posted on July 21, 2011 by jabbokdawn in Sparks from the Lectionary and tagged Holy Spirit, prayer, silence, words.